President of the National Council for Coordination of Cooperation with the Russian Federation and the People’s Republic of China Tomislav Nikolić and the China-based POWERCHINA SEDC company delegation, headed by Vice President Zhong Xiaoping, met to discuss avenues for building the Štavalj Thermal Power Plant. “Serbia and China have forged unique friendly relations marked by continuous development, owing to the successful implementation of joint projects carried out in the mutual interest. The Štavalj TPP construction project is a huge and major investment for Serbia, whose execution depends on many factors: environmental protection, financing model, transmission network and users”, Council President Nikolić underlined. “POWERCHINA SEDC is among the best-performing Chinese companies in the energy sector. Our company is very much interested in the Štavalj investment, project to be developed according to the latest clean technology solutions for coal-fired thermal power plant construction. China devotes considerable attention to environmental protection, as the bar in this area is set high – either at the same level or above the standards of the European Union, and we meet them. POWERCHINA SEDC applies state-of-the-art technical solutions to prevent the damaging effects of a thermal power plant on the environment, by making sure the environmental impact is kept within the limits stipulated by the law. 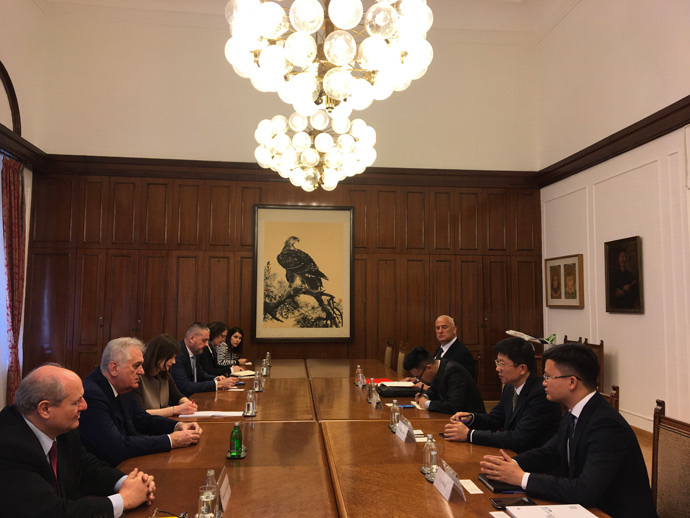 We have a world-wide experience in executing these projects, we are looking forward to Sino-Serbian cooperation on the Štavalj TPP construction, and we are open to discussion regarding different financing models”, Mr. Xiaoping added.